Well, having sailed around the whole of the Ice Box to balmy weather, we have finally started heading North in a serious way, and the dank, grey, cold of a typical British Summer has finally materialised. The seas and skies are grey and the cold damp is that type which seeps slowly into your bones and stays there. It’s certainly not as cold as the Pacific in terms of temperature, but it seems that however many layers you put on (and I can put on a LOT of layers!) they are never enough to stop you feeling chilled through by the end of the watch. Apart my foulies, my current clothing choice includes 5 layers on my legs, 2 pairs of socks (plus plastic bags), 6 layers on my top, 2 pairs of gloves (plus plastic gloves), and 2 layers of hats/buffs. I am back to a 30 minute clothing routine every time we go on watch, which means I actually have to get up as soon as someone wakes me up (rather than having an extra 10 minutes in my bunk) in order to get up on deck on time. A very unwelcome change from 5 minutes T-shirt and shorts through most of Leg 7. I suppose one benefit though is that you get fewer bruises up on deck – lots more padding! It’s particularly annoying since only the girls on the boat seem affected. Clothing-wise, Craig and David G are having a Tough-Man-off about who can hold off adding layers the longest, and both only started wearing their boots on the 2.00-6.00am watch last night. Previously they had both been wearing their Keens sandals. I think that Craig is currently slightly ahead in the game (much to my surprise, given the legendary toughness of the Tassies) – he was only wearing a pair of shorts under his foulies last night, while David actually cracked and dug out his leggings. Nutters, both of them. Stuart and Hugh are also contenders for clothing Tough-Men. Stuart because he’s Scottish so damp and cold is therefore his natural habitat and Hugh because, well, he’s Hugh and doesn’t seem to bother with things like thermal layers. Or shoes. I have finally made him put on a pair of sailing boots someone left on the boat, rather than watch him run around in the biting cold with bare feet (I kid you not). Next off is getting him to wear socks. I really don’t fancy having to deal with frostbite of the toes. I have been explaining the concept of Northern Hemisphere cold to him since we started, but I think he has now finally started to have some concept of how chilly it can be. Apart from the cold, we are enjoying excellent speeds and almost all downwind sailing. We have had a kite up as much as possible, and only take it down when the sea state is unsettled enough that there are not enough helmers to steer properly. We have definitely been pushing our sails more this leg than ever before. This is mostly a good thing as our speeds are better and we are eating up the miles beautifully quickly. Occasionally however, as is always the case when you push your limits, you come a cropper. Sadly, the latest incident involved Anne Boleyn yet again, and a truly impressive spinnaker wrap. Again I was on Mother (maybe me mothering is putting a jinx on our Code 2? Note to self; stay out of the galley when we are flying spinnakers! ), this time with Marc. We were both woken up around 1.00am by a call for All Hands on Deck and I threw on my boots and lifejacket and ran upstairs in my T-shirt and base layer leggings to find the kite half in and half out of the water, with the hallyard stuck and the tack and sheets wrapped 4 times (4 times – impressive work!) around the outer forestay. Since all corners of the kite were still attached to the boat, the kite acted as a sort of cup in the water, which made pulling the thing out of the drink extremely hard work. Eventually we managed to get enough up on deck to stop the dragging, so I went up on the bow to help unwrap the tack. I ended up sat out on the prodder with the boat bouncing up and down on the waves at 10 knots, freezing water going up my back, down my pants and into my boots. for all of another 2 hours until I was woken up to start prepping breakfast. Kudos to Kirsty, who now has intimate knowledge of all of Anne Boleyn’s seams and stitching. She has spent yet another 24 hours down below patching up the poor kite, which now resembles a large jigsaw puzzle. We have to hope that our Code 2 incidences don’t come in threes – I’m not sure Kirsty should have to put herself through yet another mammoth repairing session! One of the downsides of getting such good speeds across the Atlantic is that we are due to be in Derry much sooner than anticipated – several days in fact. Unsurprisingly, Derry doesn’t really want us there so early as it doesn’t fit into their plans for their big maritime festival. So we had an email this morning from Justin Taylor in the Race Office to tell us that the race was being extended to do a loop around Rockall, and possibly even St Kilda, before arriving in Derry on 6th July. This is extremely annoying, especially since Clipper promised faithfully after the South China Sea extension (where we spent an extra week doing pointless loops between the Philippines and Vietnam in order to arrive in Da Nang on the day they wanted, rather than racing and arriving when we could) that this would not happen again. I understand why they have done it, and I guess for the leggers it’s a nice extra bit of sailing. But I am more than ready to be back on land again so every extra delay is unbelievably frustrating. And, even worse, the loop we will be doing goes North from Northern Ireland and then back again – a route we will then be retracing as we do the next race around the top of Scotland. As you may gather, my mental state is more and more focussed on Life After Clipper, and finishing the race. I am still trying to keep my head space in the here and now but I am tired, bone tired, utterly bored of the same menus (especially freeze-dried meat) and feel that I have achieved everything I set out to do with this experience. – what we want to see in the stopovers of Derry, Den Helder and London, and what we think we have learned during the year. There is a lot of introspection and stock taking. But we have to finish first. That’s the rub. A lot of conversations about sailing conditions and strategy end in the words ‘2 more weeks’. 2 more weeks of sailing, and then it’s over. Good news and bad news. The good news is that Da Nang has made it to third on the race tracker – their best position for a long time. The bad news is that I am at home typing this, and not on the boat with them. I am still struggling to come to terms with the fact that my goal of circumnavigating the world is not going to happen. No matter how many people tell me that the achievement already attained is no mean feat, and I don’t disagree with them at all, it is not going to be the same. I have a real chance of getting back on the boat in Derry. My consultant has said he will sign my forms declaring me fit, it is then just up to the Clipper insurance to give me the go ahead. My forms will be signed at the beginning of July well in time for the Derry departure of 17th July. But how will I feel sailing into London on 30th July knowing that there is a huge chunk missing? Better than not sailing into London, but not being able to celebrate fully with my fellow crew members who will have made the grade. But that is enough of that. I need to find the positives out of all of this, and being resentful is not going to help. The other good news is that Paul has not thrown me out on my ear – I think it came very close a few times! Readjusting to normal life is one thing for me, but Paul has had to readjust to me being back early as well. That, it seems, is the harder of the two! It has truly been the “Race of My Life”, and I could not have wished to meet a better group of people. If nothing else, the new friends I have made will enrich the rest of my life. As to progress on the shoulder – slow but sure. It is hard for me to notice a difference on a daily basis, but those who only see me once a week or so can see a vast improvement each time. Lots of hard and painful physio! I am doing as I am told here, and more than I am told. Good advice from Marc and Lara. I think it is paying off. I may not be able to raise the yankee single handed (that would have been a shock if I could) but I can certainly do more than I could when I got off the boat in Seattle. My family and I all went to New York to meet the fleet during this stopover – they were booked to come and see me long before I had the accident, so I just booked an extra ticket. It would have been very sad if I had still been on the boat, as the boat arrived before we did. I am sure I would have been happy to have a couple of extra days in New York, but it would have been a disappointment for them not to be able to cheer us in. So it was a happy crew that we met in New York. They had had a good leg, and there was not much on the boat that needed fixing, so everyone had a good few days off. That would have made such a difference. Even Wendo had a couple of days off – unheard of! I also had a birthday out there, and decided to have a crew party at our house – which was perfect for the occasion. We had a swimming pool, hot tub, pool table etc etc, and eight bedrooms which we managed to fill for the night. It was a fabulous day. The weather was hot and sunny and the company was perfect. I genuinely hope that these people remain in our lives forever. So, in preparation for rejoining the boat I thought I had better get some of the gear together, only to find that I couldn’t locate my foul weather gear or my sailing boots. I had been hunting high and low for about two weeks, as I had a feeling my boots may have still been wet when I came home from Seattle. I even went to the lengths of replaying the cctv cameras footage of when I arrived home to see if they came out of the back of the taxi. They did. I am pleased to say they have eventually been found. Harriet decided to put them in a cupboard halfway up the staircase to the third floor where we keep an old Christmas Tree. Why didn’t I think of looking there? cold cold temperatures and icebergs (a la Titanic) and grey seas and sky (a la normal weather in my home town of London). The first few days has certainly had the grey, which has made me feel very at home – and homesick for getting back to London. The big waves and biting cold have thankfully not materialised however. I am particularly grateful about the temperature; since the Pacific I would be most happy never ever to experience that level of biting and prolonged cold again (especially when accompanied by wet everything in a situation where I can’t get off, or press pause and get in a hot shower). Instead, the Gulf Stream has pushed us out into the Atlantic on a stream of warm water which, most happily, has also given us a couple of knots of extra speed with the following current. There is no bite to the wind and when the waves come over the rail it’s like being doused in a lukewarm shower rather than an icy bath. The sailing is also really enjoyable – occasionally a little challenging as the winds pick up to gust around 40-50 knots. But the first few days have been all downwind sailing, which has given us a flat boat and fantastic speeds. The only downside (which is, ironically, also somewhat homesick-making) is the rain. This has possibly been the wettest 5 days we have had on this race, with constant storms, squalls, showers and drizzle. Everything is wet and the water regularly pours through the companionway into the port side wet locker, which has now completely saturated all the clothing hung up to dry there. The conversation about how not waterproof the Henry Lloyd foulies are has surfaced again, and everyone is damp by the time they get off watch. At least it’s not cold. And, finally, today the sun is out and all the wet gear is laid out on deck drying out. We currently look like a laundry. The downwind, spinnaker sailing has given us one casualty however; Madge, our Code 2 kite, took a dive into the ocean a couple of days ago when we broached after the kite sheet got an override and couldn’t be fed out in time to prevent the sail going in the water. It was All Hands On Deck, and since I was Mother I ended up on the low side rail, pulling the kite out of the water dressed in nothing but my life jacket, a thin pair of leggings, a T-shirt and a pair of flip flops. We got the kite in finally but the head was pretty much ripped off. Wendo has therefore renamed the kite Anne Boleyn, since it was headless. The worst thing was that before we broached we were rapidly overtaking the lead boat, Derry, who were off our port beam and who saw the whole thing (apparently their skipper Dan couldn’t watch and had to go down below!). So far, thankfully, the lack of a Code 2 has not worked too badly against us as conditions have been more in the Code 3 territory. However, David G and Kirsty have worked like Trojans to get the kite mended and have spent the last four days down below, working 12 hour shifts in the damp, airless heat of the galley to get everything sewed back together. This is particularly impressive because Kirsty gets seasick so spends 10% of the time with her head in a sick bag, while David is obviously pining away for the chance to get back on deck and do some actual sailing. We are now waiting for the wind to veer again so we can fly Anne Boleyn and see whether all the repairs have worked. If not, I hope that Frankie (who is coming out to meet the boat in Derry), will help with some of the repairs. She promised to mend our sails for us only if we got a podium place, so it’s extra incentive to get there ASAP. I didn’t do much sailing on the first two days on board as I was unofficial Mother for race day, followed by official Mother for Day 1. I chose to do this so that we could do justice to the huge amount of fresh meat (fresh meat on the boat!!!) that was most kindly donated by Bridget and her family from the wonderful crew BBQ that she hosted in New York. It’s an auspicious start for meals, but I have already warned the crew that the food will only go downhill from here, as we work our way through the dry bags. We have a lot of extra food that we bought for Leg 7, which needs to be eaten before any more can be bought (our budget is limited and we overspent massively in Seattle and Panama), so we will be eating a lot of pasta and rice noodles, freeze dried chicken and dehydrated camping meals. However, I have cheated somewhat on the menu planner and included as many meals as I can from those that I know the crew always like. We will therefore be eating a lot of macaroni cheese, vegetable pasta bake (Wendo’s favourite – or at least one of them! ), chilli con carne, baked sweet potatoes with coronation chicken and patatas bravas. 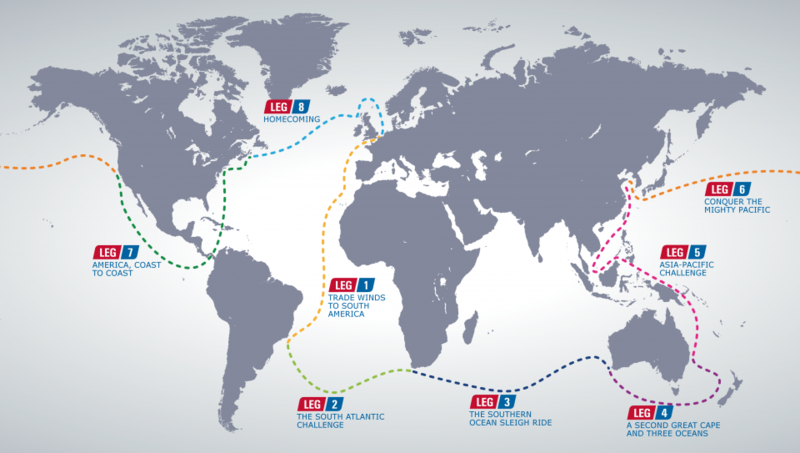 I am hoping that our frugality on the Atlantic crossing and on the race from Derry to Den Helder will allow us enough left over to blow our remaining budget for the last two-day race on fresh bread, cheese, pate and other yummy fresh food. Home and what happens after the race is now the subject of most interest, at least for the RTW’s. All of us have plans for what we are doing once we finish, whether it be new career paths, holiday or new relationships. It’s very difficult not to talk constantly about life after Clipper but I am attempting to keep my mind on the here and now as much as possible. This is partly for the new leggers and rejoiners, for whom this is a big adventure, and who should not have to hear constant talk of what happens when it’s over. It’s also partly because although we have sailed most of the way around the world and have been on the boat for 10 months or so, we are still undertaking an ocean crossing – a feat which should not be underestimated. The North Atlantic can be treacherous (as Titanic, Perfect Storm etc. can attest to), so it’s up to us to keep our heads in the game and stay focused on the real prize of arriving back in London safe and sound. But, oh, how I want to get home!